Dela Technologies incorporate many leading edge solutions to expand your Business. Find all you need in the One Place to stay on top of what’s happening with your vehicles, equipment, office or warehouse. Protect your investment and improve your ability to deliver outstanding customer service. We know that the owners of growing businesses have a lot to think about. Keeping a close eye on your facility and all that goes on in it, is an important aspect of cutting down on losses and maximizing efficiency. If your organisation has company vehicles, it can be difficult to manage all your assets at the same time. Why Invest in a GPS Tracking Device? Unsafe Driving Habits: These can cause injuries to persons and property, which can in turn leave your business with legal issues and a damaged reputation. Unauthorized Use: Unauthorized use of a company vehicle can lead to increased costs or even regulatory violations. Inefficient Route Planning: Taking the wrong route can result in higher costs and reduced customer satisfaction. Dela Technologies also provide dash cameras, which can be very effective at improving driver safety, recording accident footage, and monitoring the road habits of drivers. Whether you’re looking to keep track of what goes on at your warehouse or in one of your company vehicles, we have the tools you need. If you’re looking to grow your operation, you need to plan out how to use all available resources in the most efficient manner possible. Enterprise Resource Planning (ERP) solutions give you the ability to track all of your assets and understand the costs associated with them. This makes it much easier to facilitate sales analysis and improve customer relationship management. Manage Your Assets from Any Location! When you’re looking to grow your organisation and manage assets from any location, consider using tools like a GPS Driver Tracker, Dash Cameras, CCTV Cameras, and ERP solutions, you’ll be able to protect yourself against liabilities, cut back on losses, and boost your productivity. 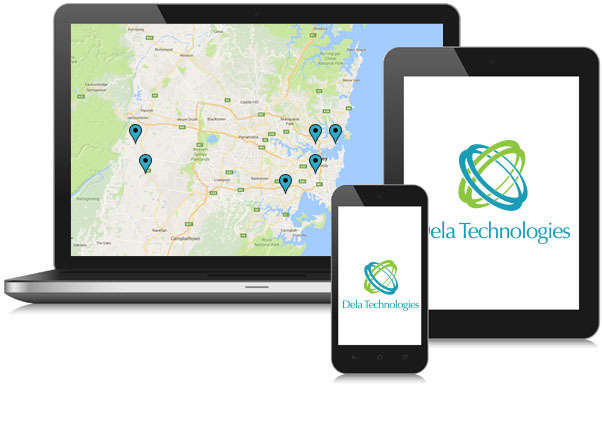 Dela Technologies provides GPS Systems & cost-efficient solutions tailored to your business.